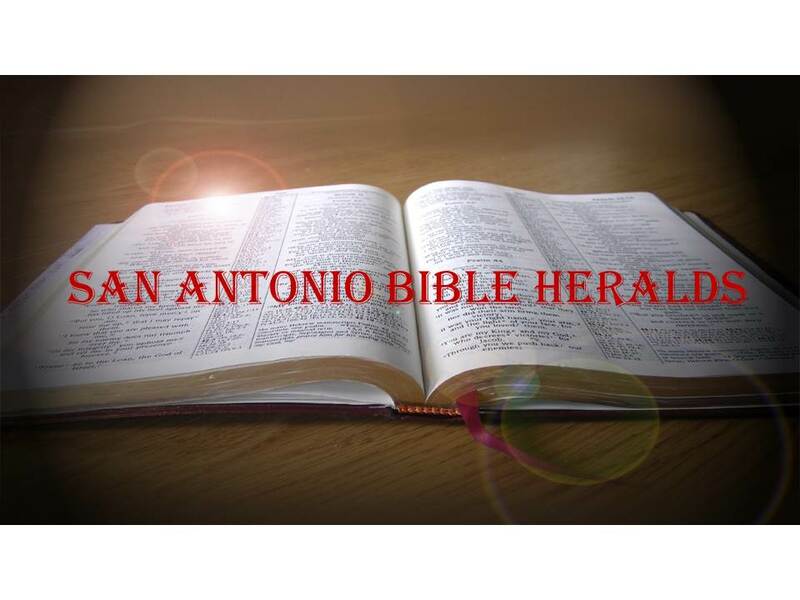 San Antonio Bible Heralds: The “Church of Christ”: A Cult By Any Other Name? Now, I must say up front that there are a number of things in this book with which I agree. From my perspective as one that has been associated with the CofC for over 30 years, I have seen firsthand many of the attitudes and problems that this author discusses. But my intent in reviewing the book is not primarily to reinforce what the author has said about the faults of the CofC, but rather to point out where the author has gone wrong. In addition, I am not seeking to refute the author’s assertions concerning doctrine, necessarily. Although there are many things in the book that are doctrinally incorrect—and frankly, for a person who was associated with the CofC for 50 years, I found some of his arguments very weak—my purpose is primarily to point out the flawed argumentation and weak logic that the author shows in his rush to denigrate the denomination he was associated with. At the same time, I hope that examining some of the things he discusses will help those of us who are members of the CofC to think soberly about them and come to a determination as to whether they are true or not. We are all captives to our traditions. The key is to try to minimize the hold that such traditions have over us in order to look at things with a less biased attitude and to consider where the truth lies. It should not come as a surprise that a person that has experienced what Mr. Simpson has would be bitter. And boy is he bitter! From the first page of this book to the last, the author makes it unambiguously clear that he has a BIG problem with the CofC. His favorite moniker for the members of the church is “Pharisee,” a word he probably used about once per page (a slight exaggeration, but only slight). In my opinion, bitterness and anger do not make for clear thinking, and this book is a very good example of why that axiom is so true. It is evident that Mr. Simpson’s personal feelings are constantly getting in the way of his argumentation and he is so intent on showing the church’s faults, that he goes off the rails in many of the “proofs” he puts forth to show why he is right. Perhaps the greatest example of this problem is the fact that he constantly reminds the reader that Jesus said “do not judge or you too will be judged” (Matthew 7:1), completely oblivious to the context of the passage. Then too, it is rather amusing that he repeats that refrain like a hammer hitting an anvil, but then proceeds to do that very thing in his critique, at times going so far as to mock and insult the members of the CofC. Some of you reading this will agree with many of the issues that I will mention in connection with this review. Others will disagree forcefully, still holding to the idea that the CofC is the only denomination where salvation is found and that, if you belong to any other denomination, then you need to come to the “truth.” As I mentioned above, there are issues raised by this book with which I am in agreement, but I did not come to that conclusion because of the book. Over the course of my 30 plus years of Christianity, I have sought to examine myself and my thinking in light of the word of God. (2 Corinthians 13:5) In doing so, I have embraced and abandoned many ideas because I have come to a better understanding of what the Bible has to say about those issues. I am not of the mind that the CofC is the only “true church.” The church is a universal body of which the local church is only a small manifestation. I’m sure that some folks will look upon that as heresy, but in my view the most important thing is to be in agreement with what God has to say about any subject, even if that means we have to be at odds with some of our brethren. And so, over the next several iteration of the blog I will endeavor to take a sober look at this book and to attempt, to the extent possible, to point out the problems with it. I do not do so in order to vindicate the CofC or to somehow make myself feel better about being a member of that church. Rather, I do so in an attempt to provide a fair counterbalance to this work which, unfortunately, suffers from very shoddy argumentation and poor exegesis. There may be many truths contained within its pages, but that does not give the author a reason to engage in underhanded argumentation in order to buttress his arguments. If you have good, solid arguments to make, they will stand boldly on their own without you having to somehow prop them up with fallacious and extraneous ideas. Until next time.